When it comes to deciding which state to call home or to locate your small business, cost of living is a major factor to consider. Cost of living is a term that describes the amount of money necessary to maintain a certain level of living, inclusive of essential expenses such as accommodation, food, clothing, health care, and taxes. It can be used to compare the affordability of one location versus another, such as between states. Unfortunately, there is no official cost of living comparison between states published by the U.S. government. However, some reporting is undertaken by independent organizations. The cost of living index released by The Council for Community and Economic Research is widely accepted. Numbeo is one of the major websites that publishes the cost of living in cities around the world in comparison with New York City. But in most other websites like BestPlaces.Net, the cost of living in different states and cities are listed and referenced in comparison with the national average. Based on information from multiple sources, here is our ranking of the 10 states with the least cost of living in America in descending order starting with Kentucky in the tenth spot. All index scores cited are in comparison to a score of 100 for the national benchmark. Scores below 100 indicate prices that are cheaper than the national average. Low housing cost is the most notable contributor to the attractive overall cost of living in the Bluegrass State. With a housing index of 80.5 versus the national benchmark score of 100, it provides cheaper accommodation, on average, than many U.S. states. The average monthly rent for a home in Kentucky is $1,000 and $725 per month for a two-bedroom apartment, versus the national average of $1,027. The median home value in the state is $131,300. Attractive grocery (88.9) and healthcare (88.7) also make Kentucky a great place to live. Overall, the cost of living index for the state is 90.8. With an overall cost of living index of 90.7, Texas is the state with the ninth lowest cost of living. An attractive housing market is the most significant contributor to the overall cost of living index. Housing affordability is in large part attributable to the low cost of land as well as a government-friendly approach to development and construction that minimizes red tape and bureaucratic delays. The housing index in the Lone Star State is 84.5. The average price for a rented house in Texas is around $1,450 per month. $163,100 is the median home value in Texas. Grocery (89.5) and transportation (93.7) help keep Texas affordable. And in case you get hungry, the average cost of a meal in an inexpensive restaurant in Texas is $9, and you can grab a local beer for as low as $3. In Kansas, the overall cost of living index is 90.4, making it the state with the eighth lowest cost of living index in the country. The cost of housing in Kansas is considerably lower with a housing index of 77.4. As in Texas, low home purchase and rental prices are aided by the cheap real estate that is at least one tangible benefit of Kansas City's urban sprawl. That being said, there are still pedestrian-friendly locations in Kansas City to choose from, such as the trendy Crossroads district. The average house price is $124,400 in the Sunflower State. On average, the cost of a two-bedroom apartment in Kansas is $777. 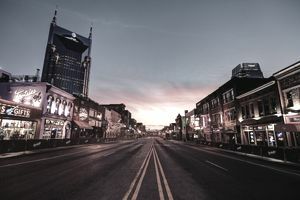 The cost of living in the Volunteer State is inexpensive (89.8), and with its world-famous Memphis barbecue, blues and country music to celebrate, what more is there to consider in your location decision? Housing (77.5) is the biggest budget helper, aided by cheaper than average scores for health care (90), grocery (92.7), and transportation (89.9). Idaho has the cheapest groceries among any state, thanks to healthy price competition provided by Boise-based WinCo Foods, a regional grocery retailer. The low cost of food items contributes to the Gem State's 89.6 overall cost of living. Cheap food, in conjunction with inexpensive housing (77.8) helps Idaho enjoy the sixth most affordable cost of living. Idaho achieves this score in spite of being more expensive than the national average for transportation (106.1) and healthcare (101.9). There is a lot to like about Oklahoma as an affordable state to call home. Where to Retire magazine listed Norman, OK, as one of the eight most desirable places to retire in the country, while Kiplinger has named Oklahoma City as one of America's most affordable big cities. The overall cost of living in Oklahoma is 88.6. With ample land for development, the Sooner State's housing index registers 76.7, one of the lowest in the county. The average house price is $114,800, while rent for a two-bedroom apartment averages $740. In 2016, U.S. News and World Report's list of the 20 Best Affordable Places to Live in the U.S. named Fayetteville, AR, as the place with the lowest cost of living in the U.S. and the nations' third best place to live. Arkansas ranked in the top five most affordable states for people making minimum wage. The state's 88.5 overall cost of living index was bolstered by low housing (77.7), health (87.8), and transportation (89.1). Speaking of transportation, Arkansas boasts some of the lowest commuting times in the nation. On the other hand, however, walkability is an issue, so plan to keep your vehicle. Little Rock has a Walk Score of just 31 and a Transit Score of 18. Fort Smith doesn't fare much better. There is a lot to like about Michigan, the third-cheapest state (88.2) in which to live. With two peninsulas jutting into the Great Lakes and 11,000 inland lakes, it is well known that Michigan boasts more freshwater shoreline than any other U.S. state. But did you know it also leads the country in golf courses and ski areas in addition to offering 121 commercial wineries? It is also the fifth-leading state for breweries, microbreweries, and brewpubs. The housing index is 77.1, with the average price for a house in Michigan is $147,900. For a two bedroom apartment, the average monthly rent is $802. Grocery (89.6) and healthcare (93.3) also contribute to the state's affordability. With an overall cost of living index of 87.9, Indiana is one of the best places to live affordably in the U.S. And while smaller towns and cities typically provide a cheaper lifestyle than big cities in many states, Indianapolis, Indiana's capital city, is one of the most affordable cities in the country (overall index of 89). Indiana's 75.8 housing index is the country's second lowest. The average price for a house in Indiana is $139,900 in the Hoosier State, while $764 is the average monthly rent for a two-bedroom apartment. The grocery index (92.4) and utilities index (91.1) also contribute to affordability. Its cheap energy is on the wane, however, as the state shifts electricity production away from coal, the predominant source in the past, toward natural gas. Mississippi is the most affordable state to live in the U.S. with an overall cost of living of 86. Housing (68.4) is the country's cheapest. The average home value is in the hospitality state is $112,000. While the average monthly rent for a house is $1,050, and the average monthly rent for a two-bedroom apartment is $727 which is $300 less than the national average. The state also scores well for healthcare (89.9) and utilities (89.6). When it comes to cost of living comparisons, there are other variables of course, such as differences between urban, suburban and rural locations, as well as between premium districts and less popular locales. Some state rankings such as this listing of best states to retire, consider other factors in addition to the cost of living, such as crime rate, weather, and personal well-being. Knowing state rankings, however, can be a useful early step in your research.